Dorothy Irene Jones age 92 of Crosby died on August 16, 2018 at Heartwood Senior Living in Crosby. She was born on July 29, 1926 in Ironton to Frank and Mathilda (Kassler) Berg. 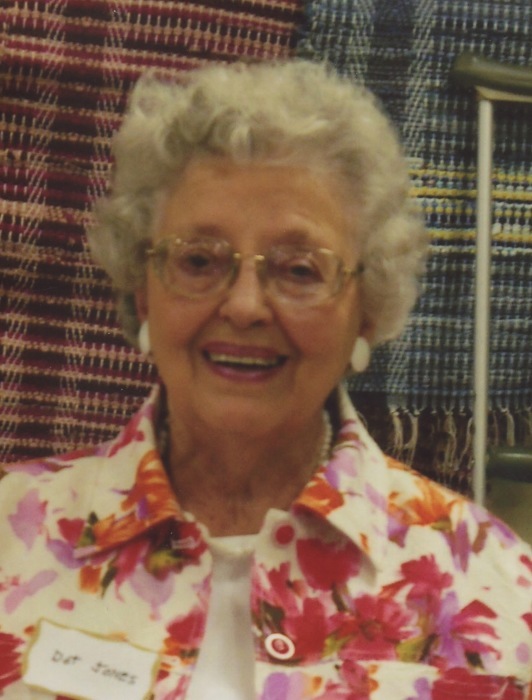 Dorothy was a member of the Cascade United Methodist Church in Deerwood. Dorothy is survived by one son, Michael (Judy) Jones of Bloomington; one daughter, Jacquelyn (Robert) Hanks of Fairfield, Ohio; six grandchildren, ten great grandchildren and one great great grandchild. Preceding Dorothy in death are her parents; her husband, Ernest; and three sisters, Beverly Norlander, Jackie Raymond, and Frances Leino. A memorial service will be held on Sunday, August 26, 2018 at 6:00 p.m. at Heartwood Senior Living in Crosby. Burial will be at the Lakewood Cemetery in Crosby. Visitation will be one hour prior to the service at Heartwood. Arrangements are with the Koop Funeral Home in Crosby.